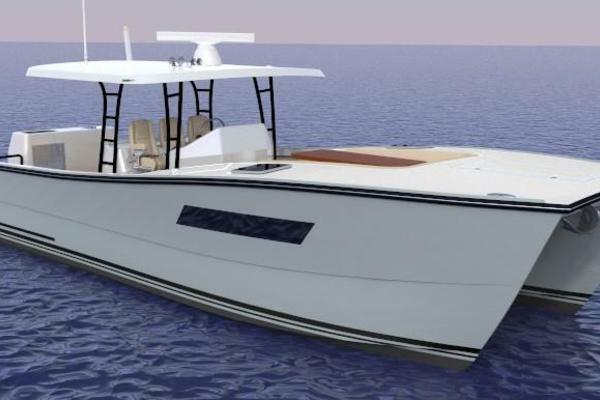 RARE OPPORTUNITY TO BUY AN ALMOST NEW BOAT WITHOUT WAITING TO HAVE ONE BUILT! 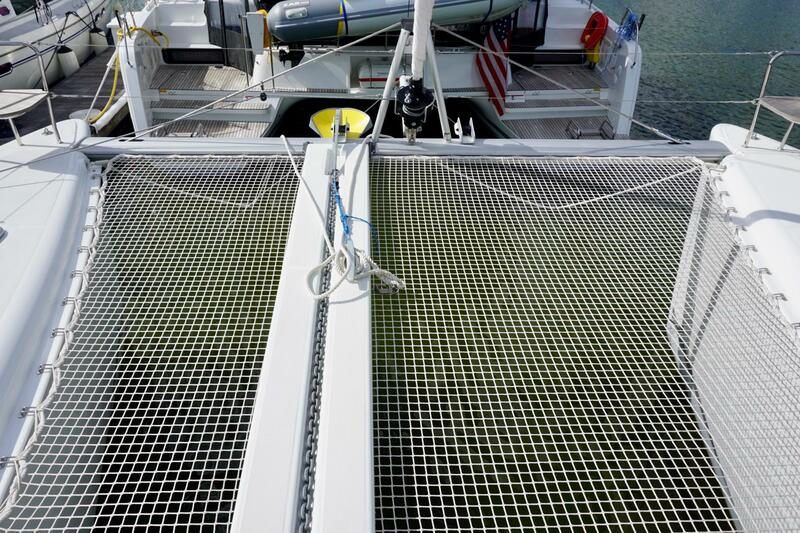 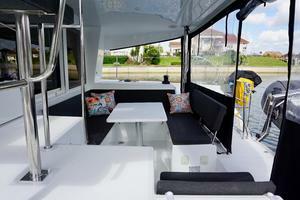 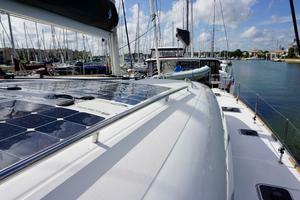 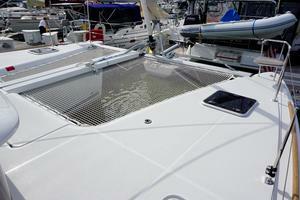 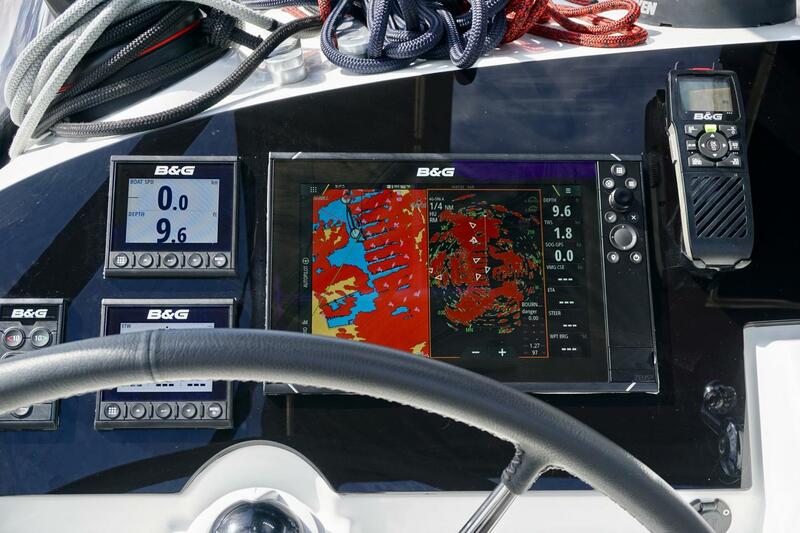 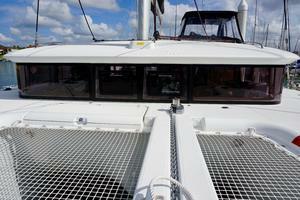 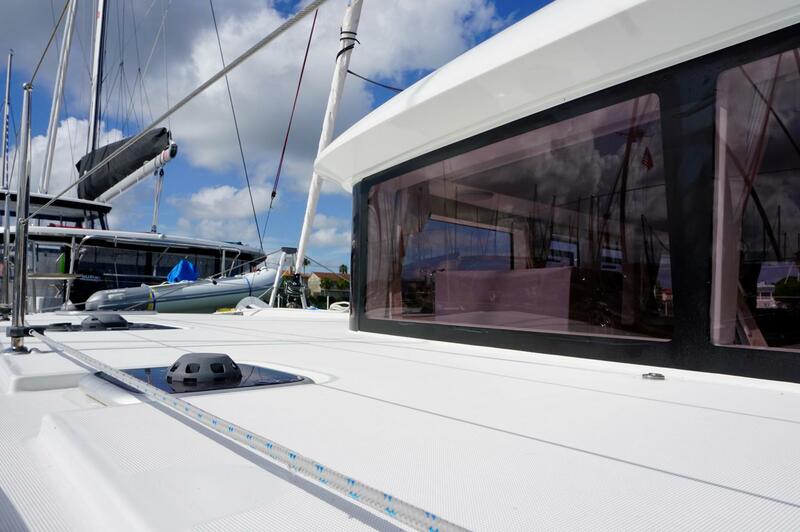 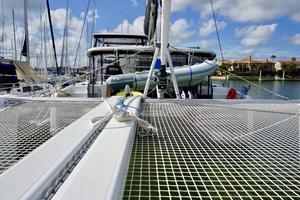 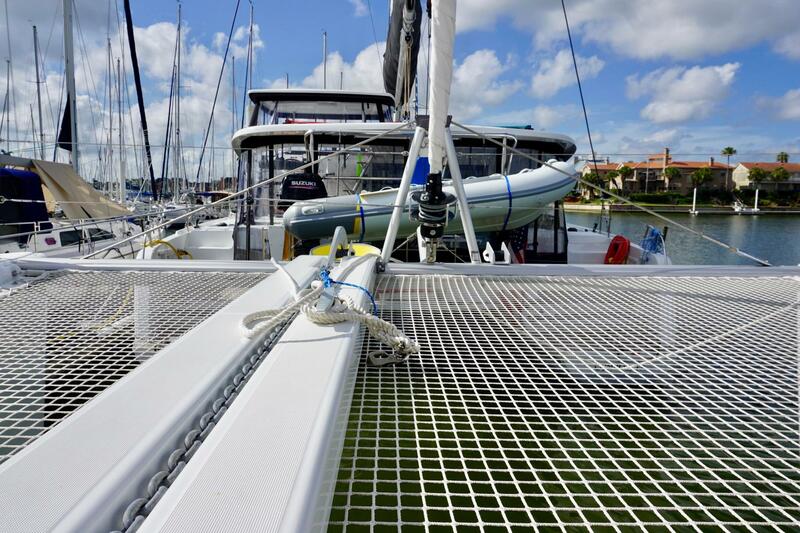 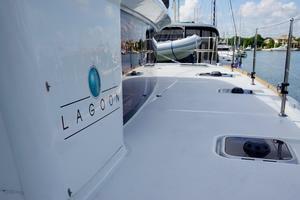 Lagoon got it right again with this innovative model in their wide range of quality catamarans. 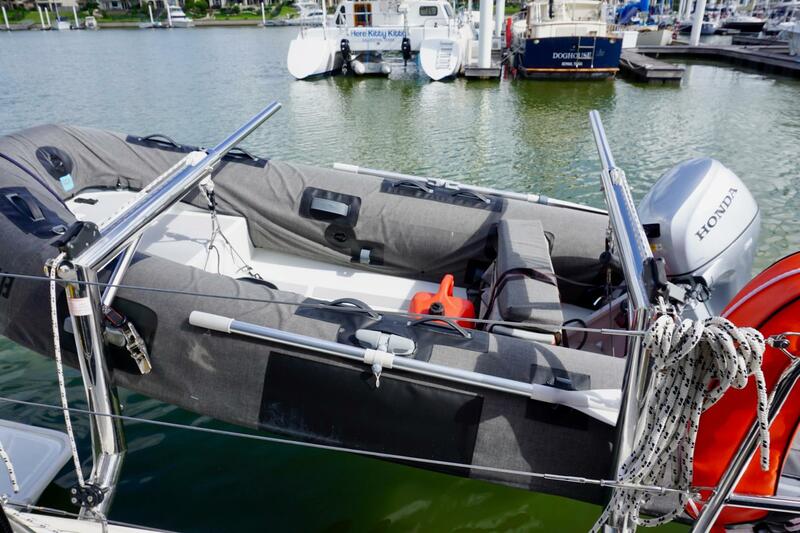 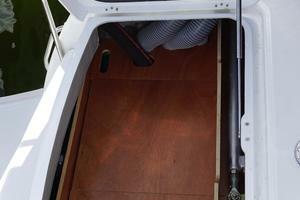 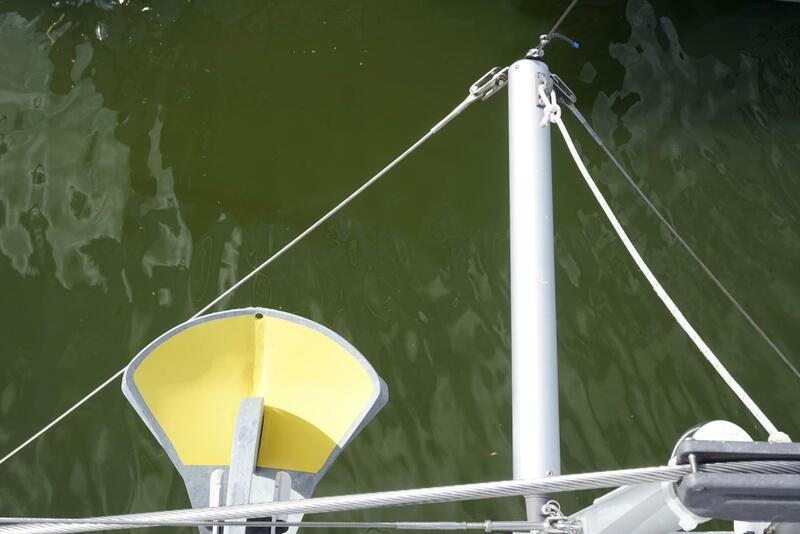 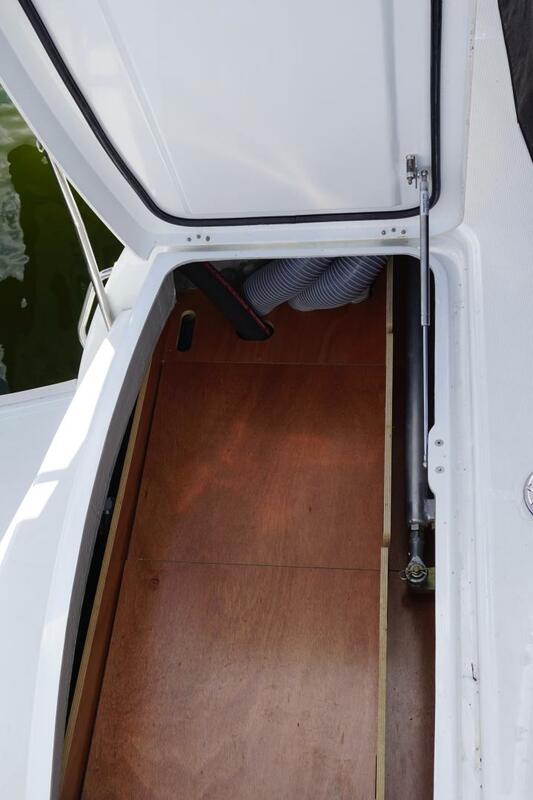 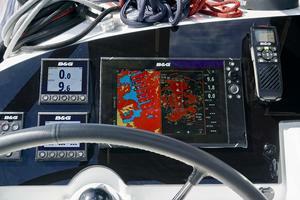 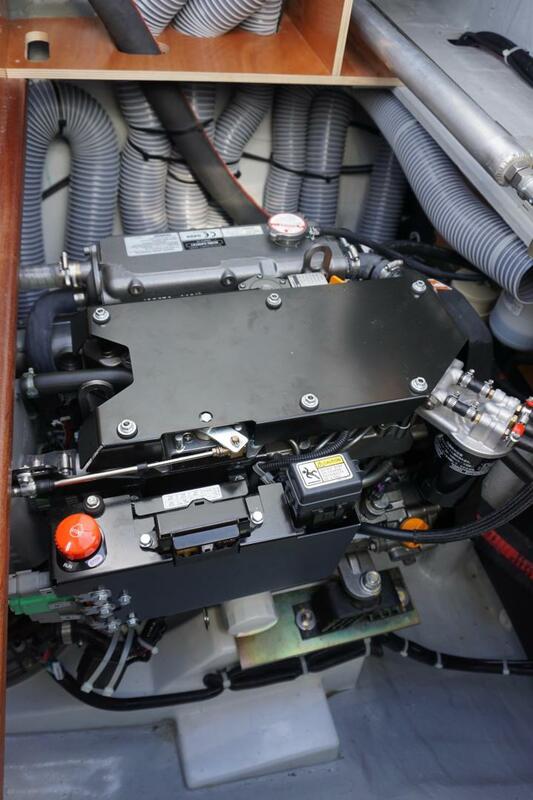 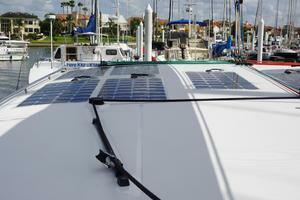 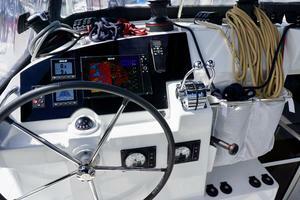 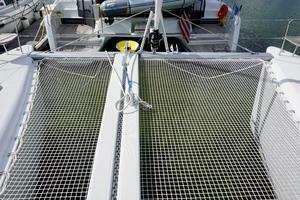 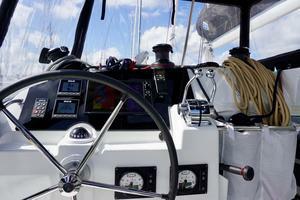 The S2 version includes a lot of standard equipment and this boat was built with nice list of options/upgrades. 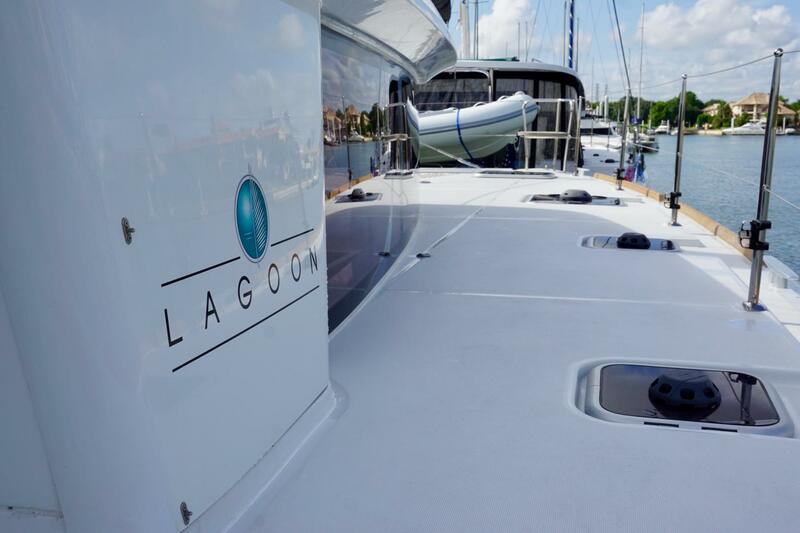 It’s obvious that Lagoon put a lot of thought into increasing the ease, efficiency and safety of managing mainsail loads. 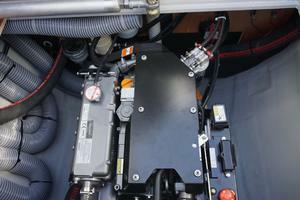 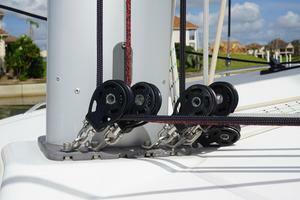 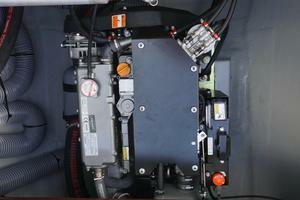 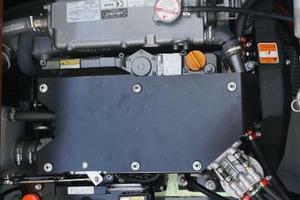 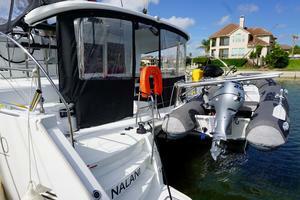 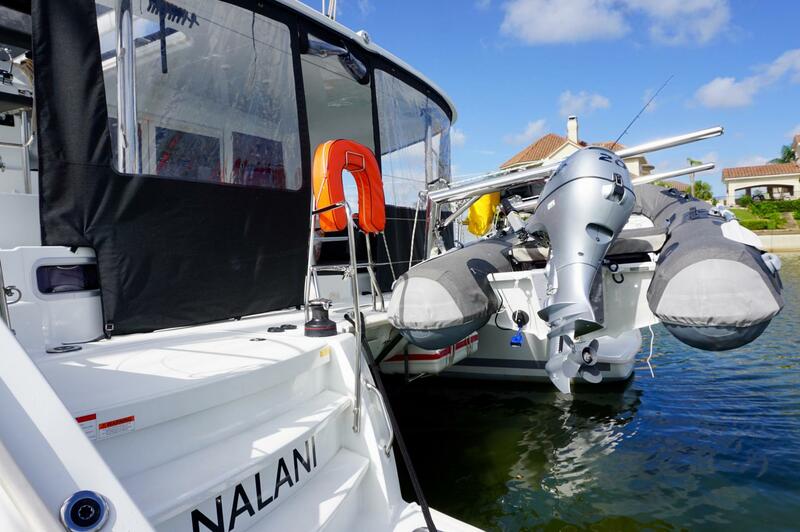 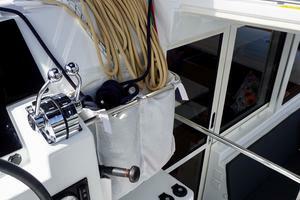 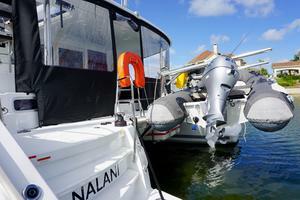 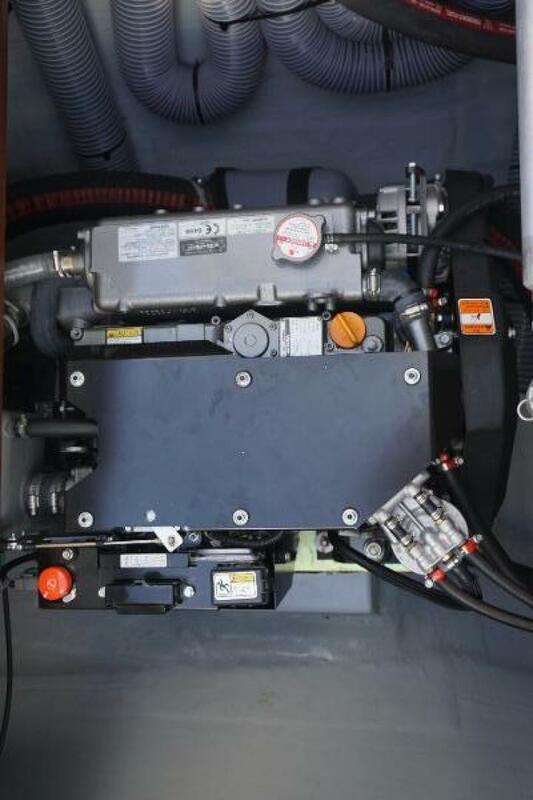 Nalani’s four electric winches are an added bonus. 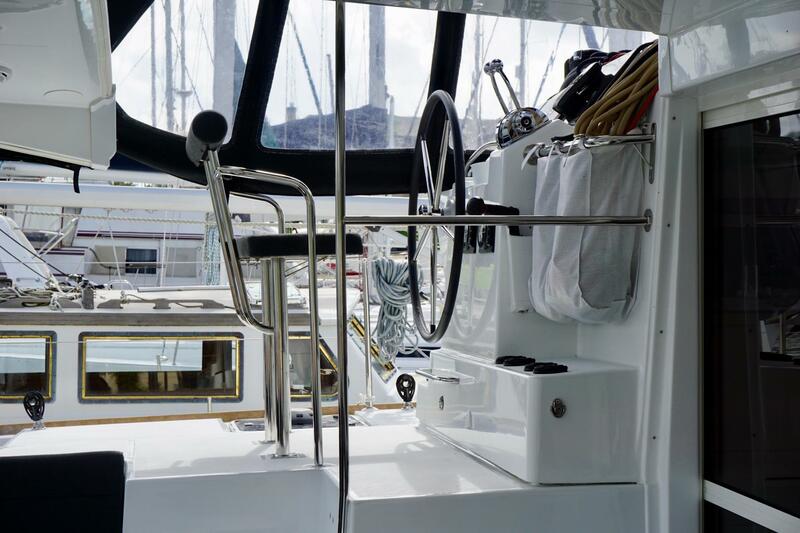 Movement between the steering station, the cockpit and the main salon remains free and open. 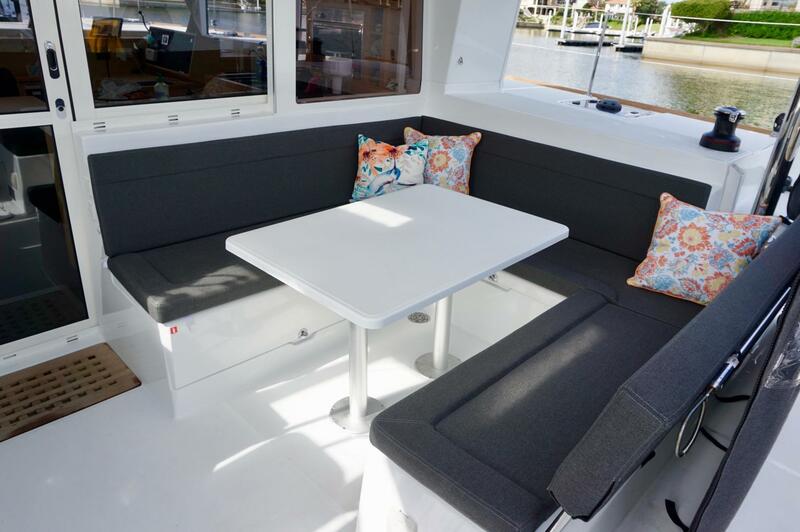 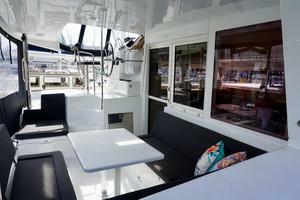 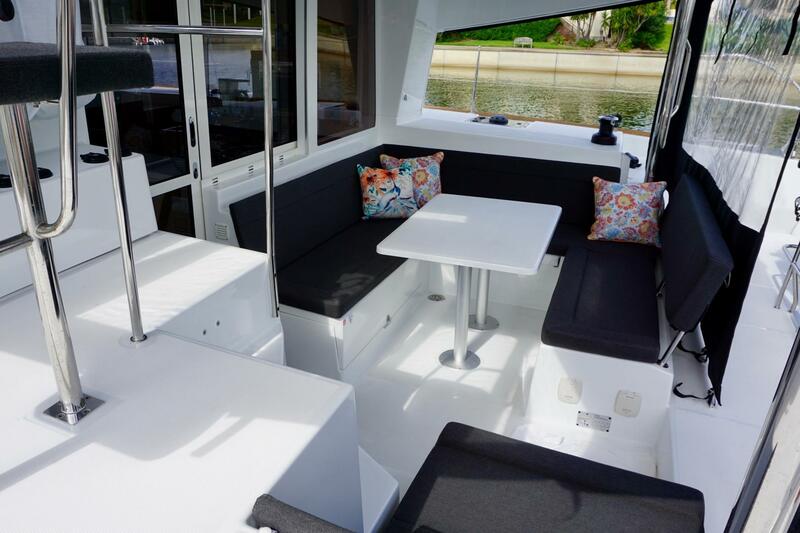 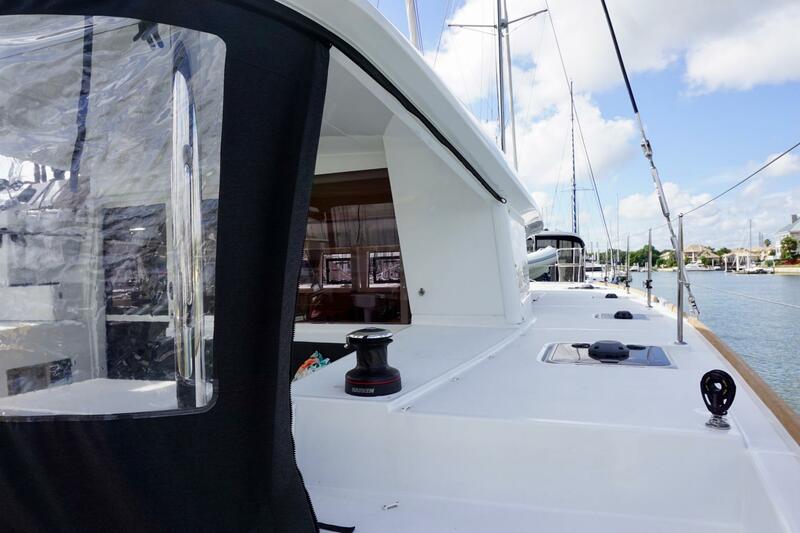 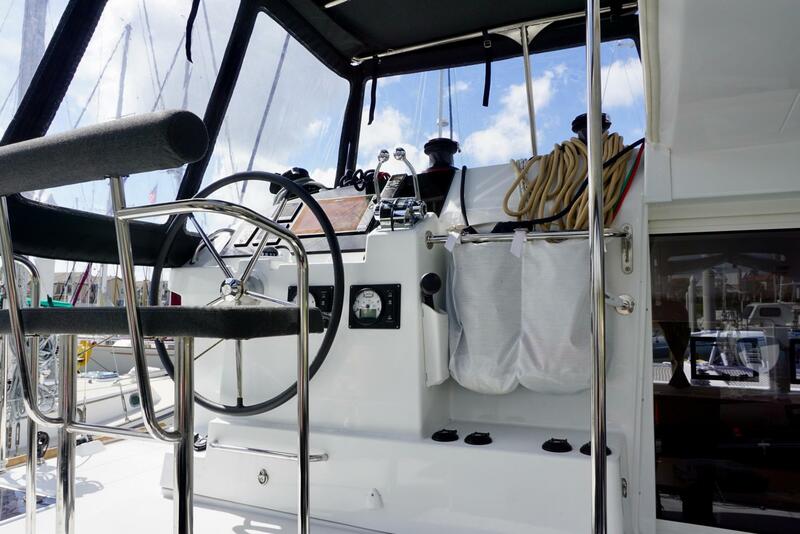 The cockpit is on the same level as the salon and features such as the hard top bimini, table, fridge and sliding window into the galley make it a true extension of the interior living space. The Lagoon 400 S2 was designed for long and comfortable coastal or ocean cruises. 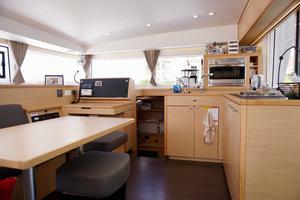 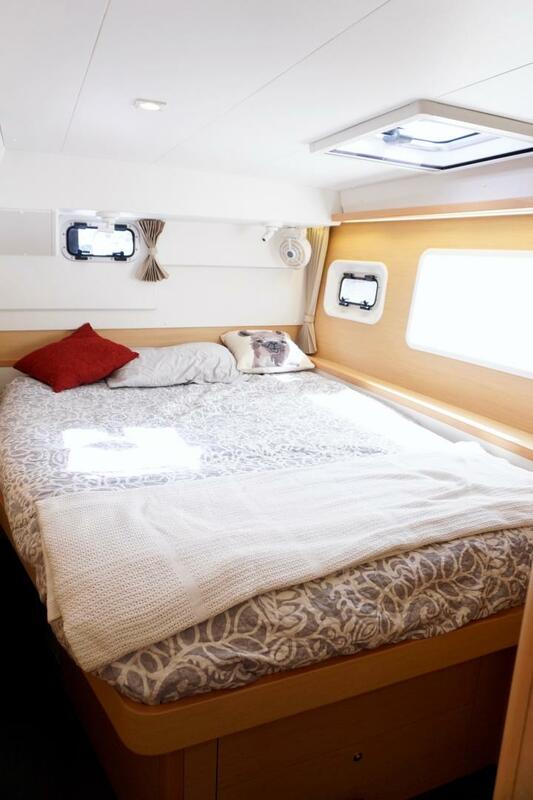 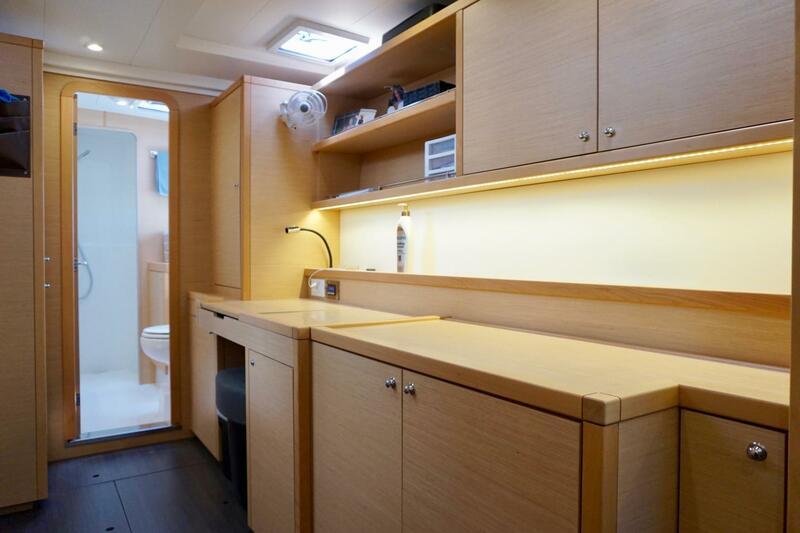 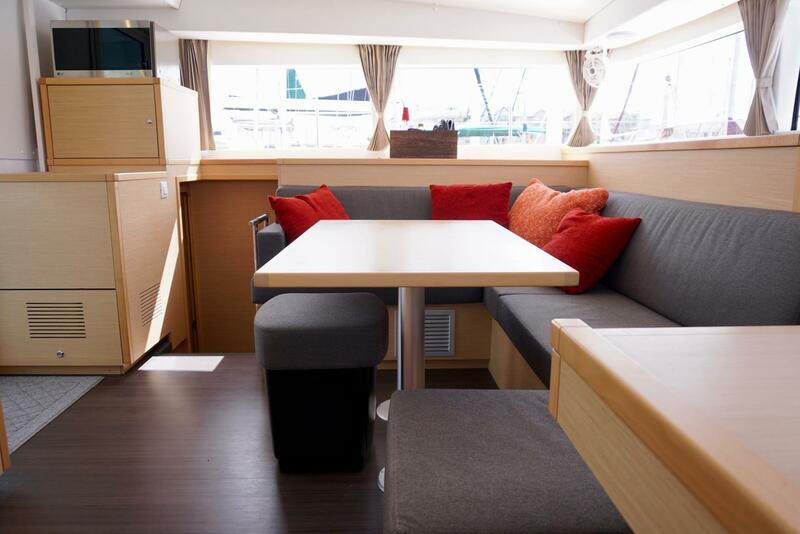 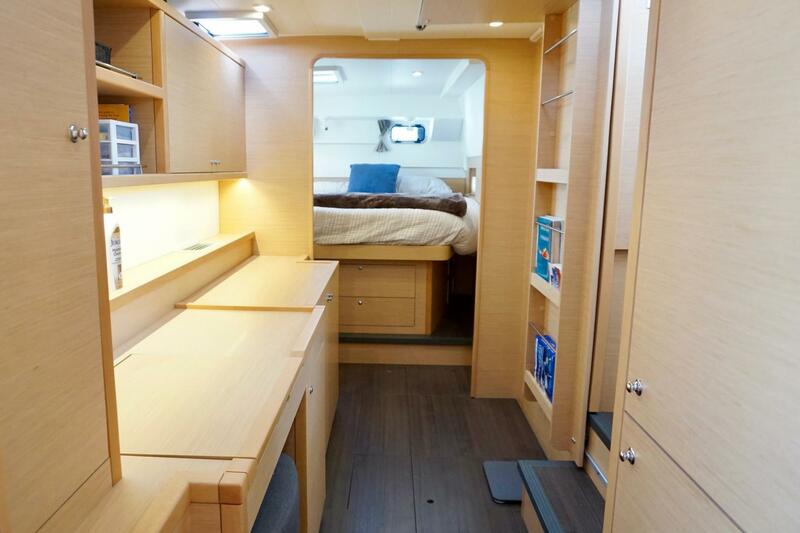 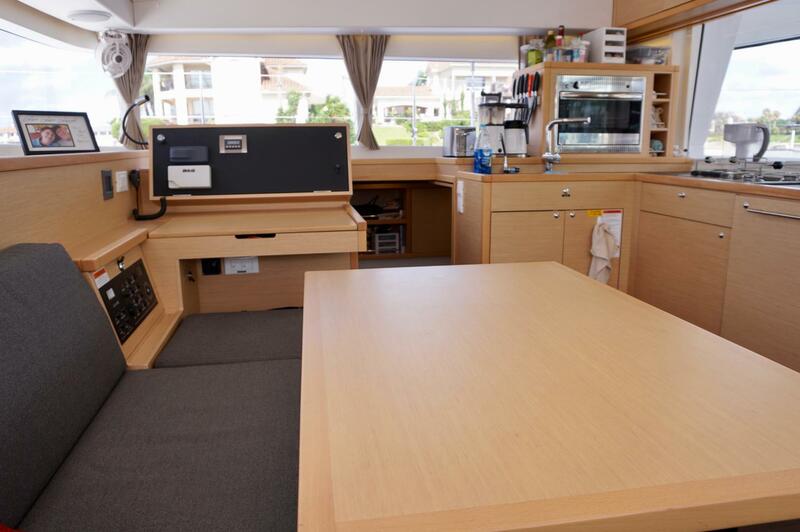 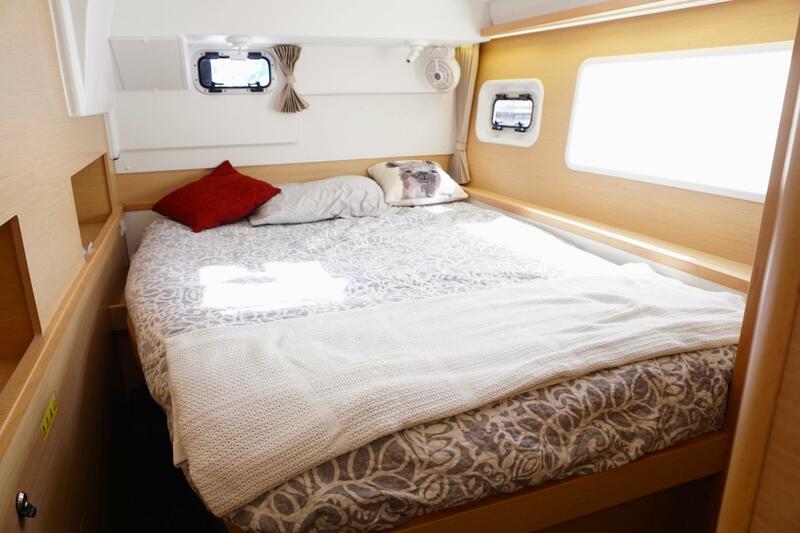 This 3-cabin, 2-head Owner’s Version layout is great for the family with her ample space above and below decks. 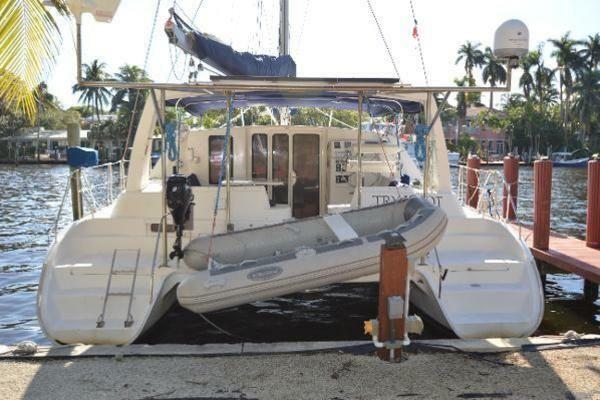 See the full specs for more details and call the listing broker today to schedule a viewing of this fantastic boat! 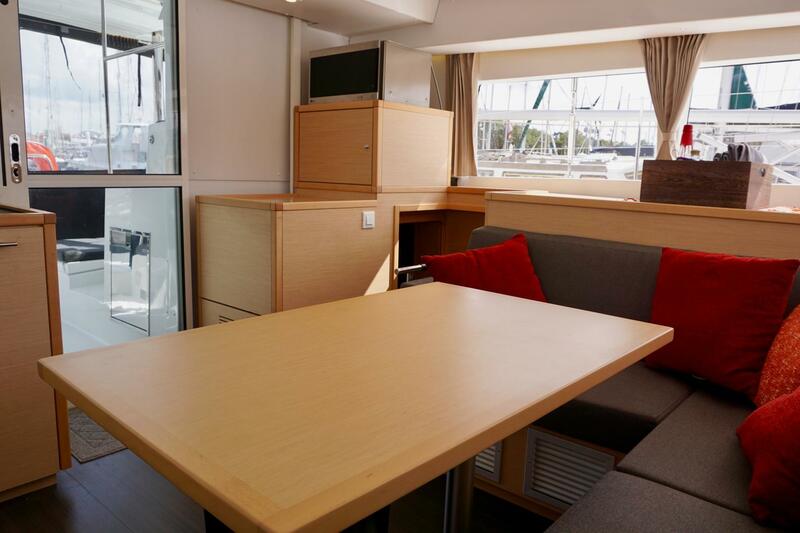 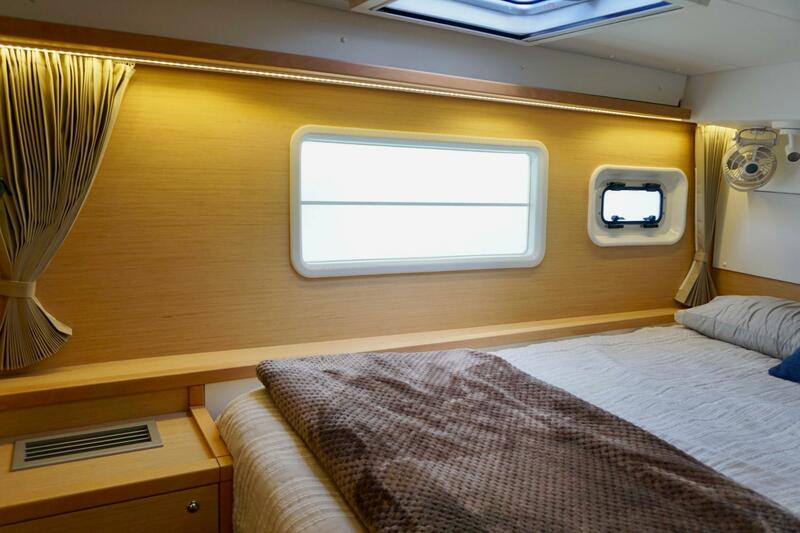 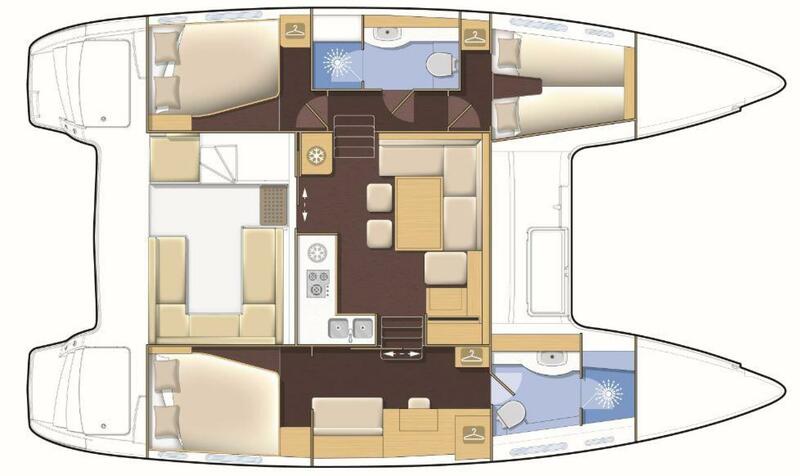 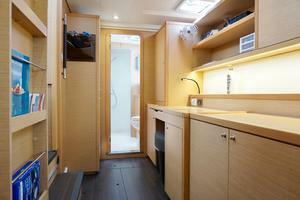 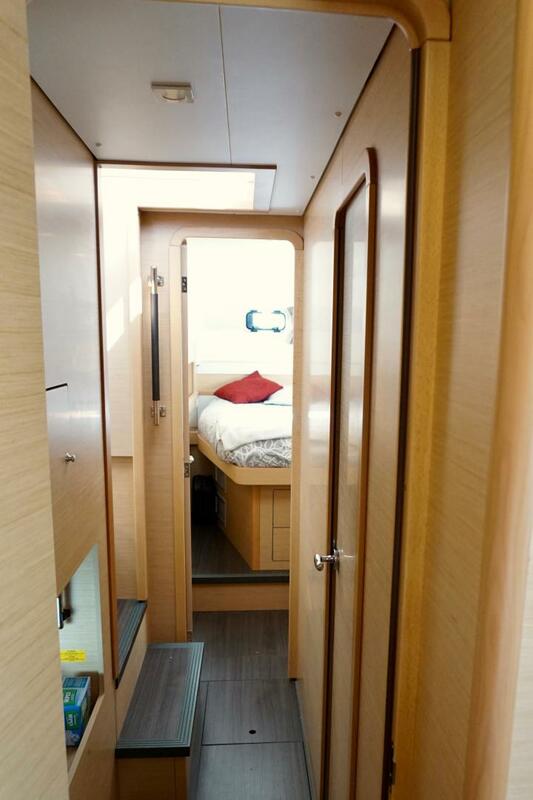 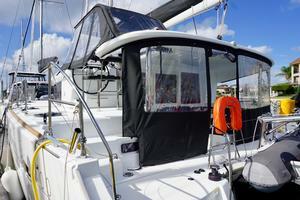 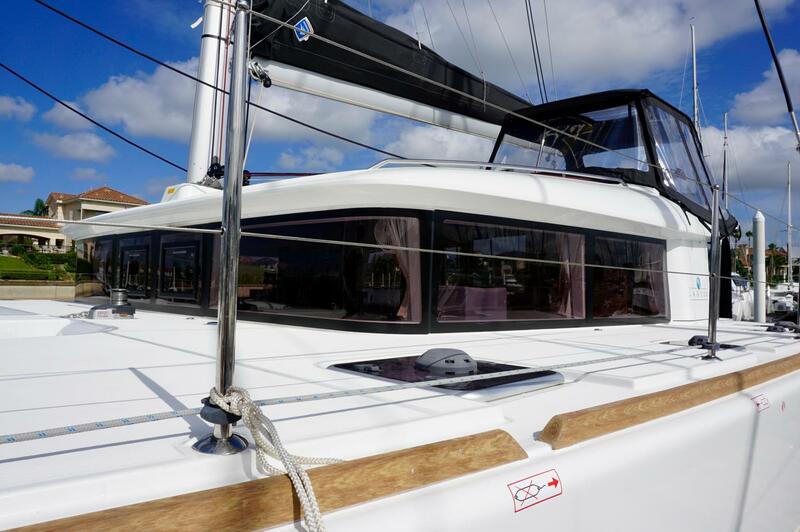 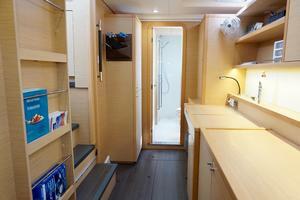 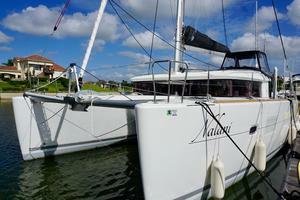 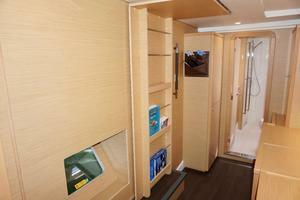 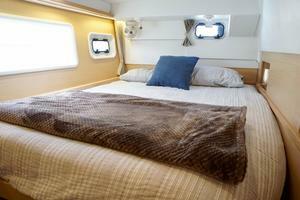 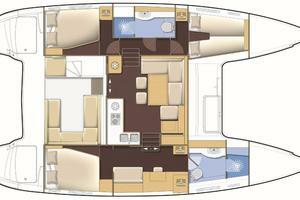 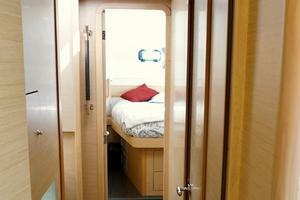 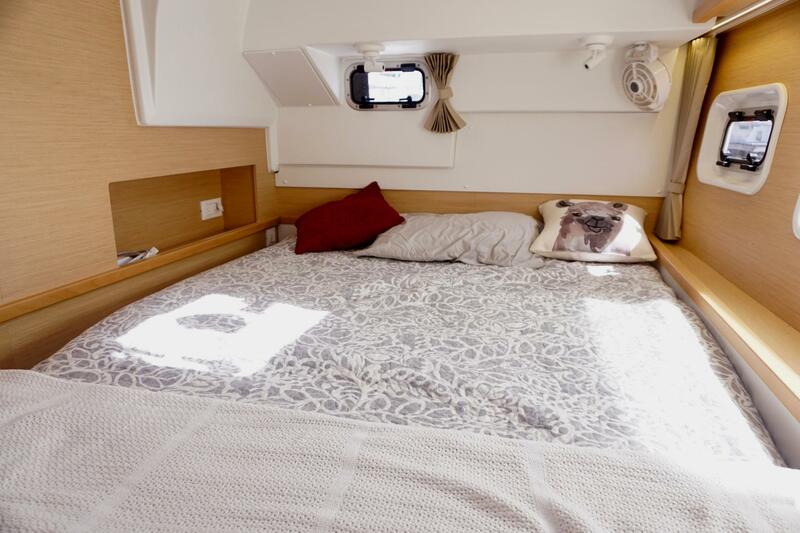 This Lagoon 400 S2 has the Owner’s Version interior layout with three staterooms and two heads. 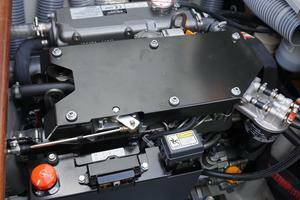 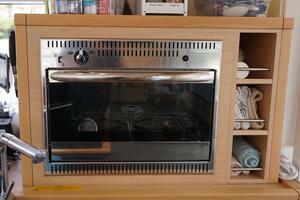 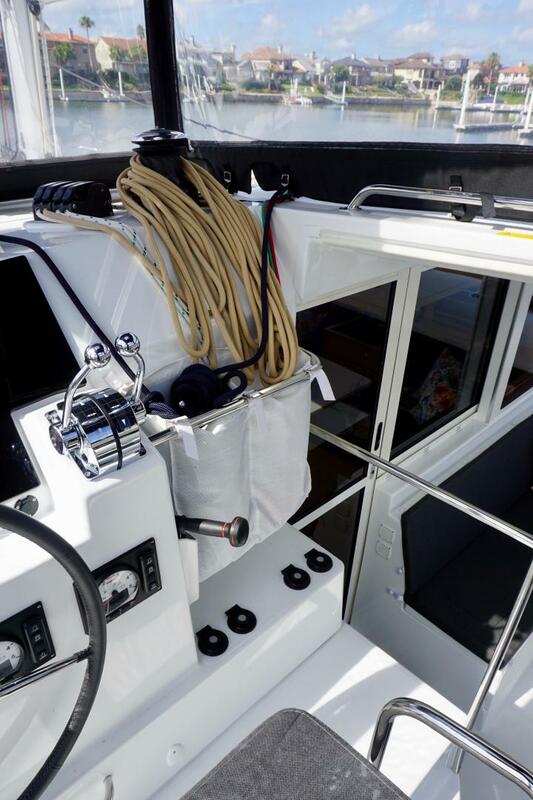 Upgraded 44,000 BTU's Cruisair air conditioning/heat units keep the interior comfortable in any climate. 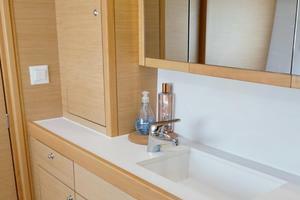 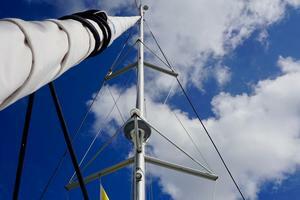 The starboard hull is a veritable apartment dedicated entirely to the comfort of the owners. 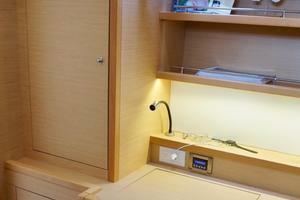 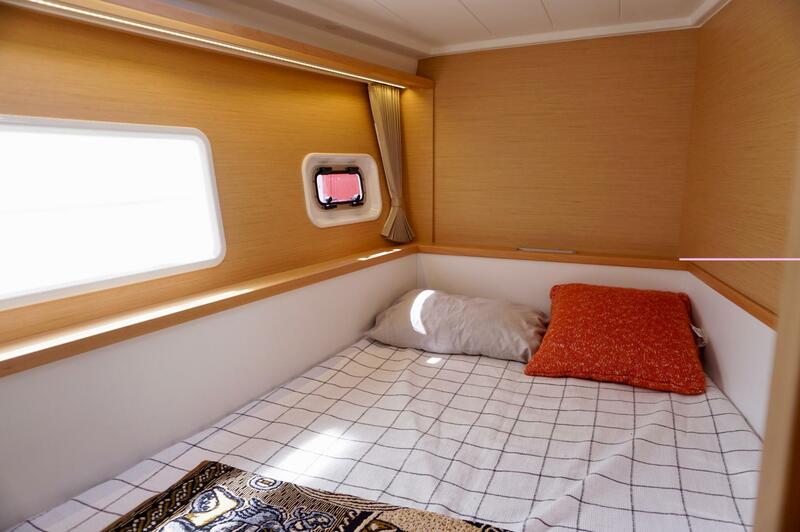 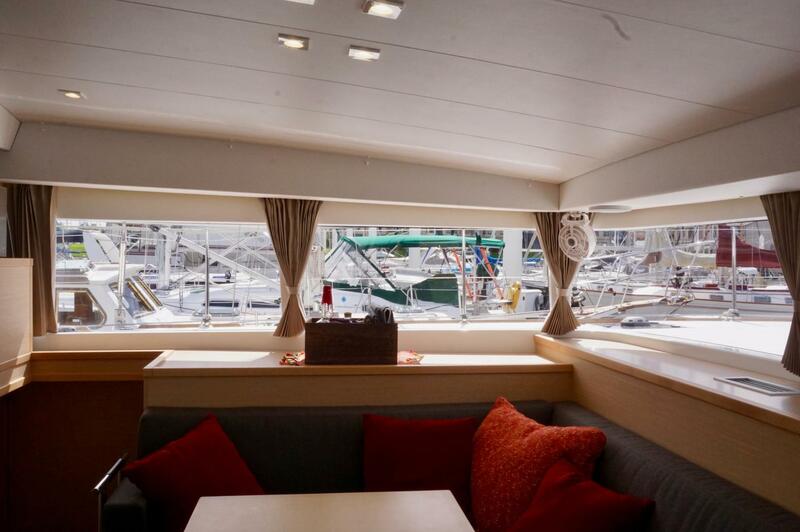 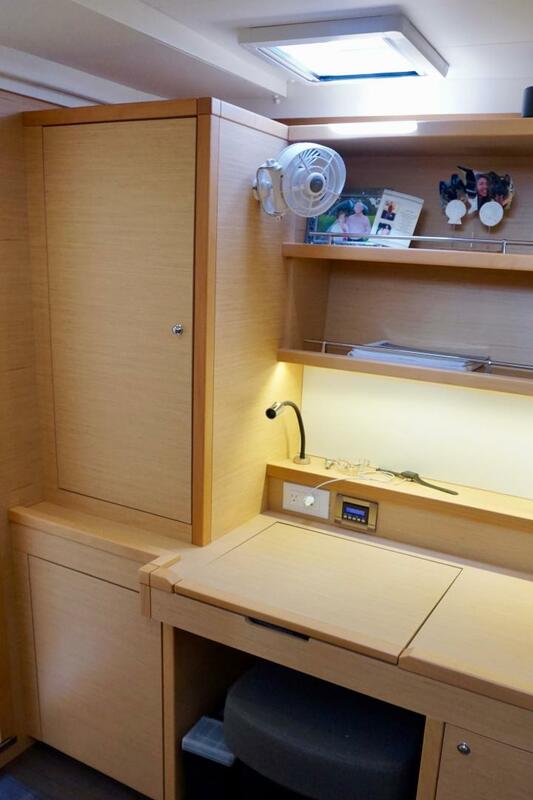 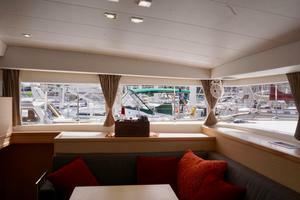 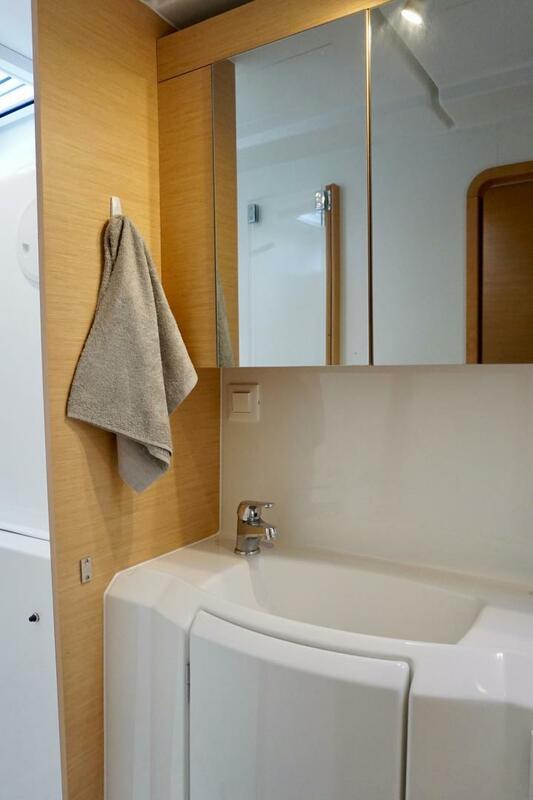 The spacious stateroom area offers a large “semi-island” queen berth with plenty of natural light and ventilation as well as fantastic indirect and overhead lighting, reading lights and fans. 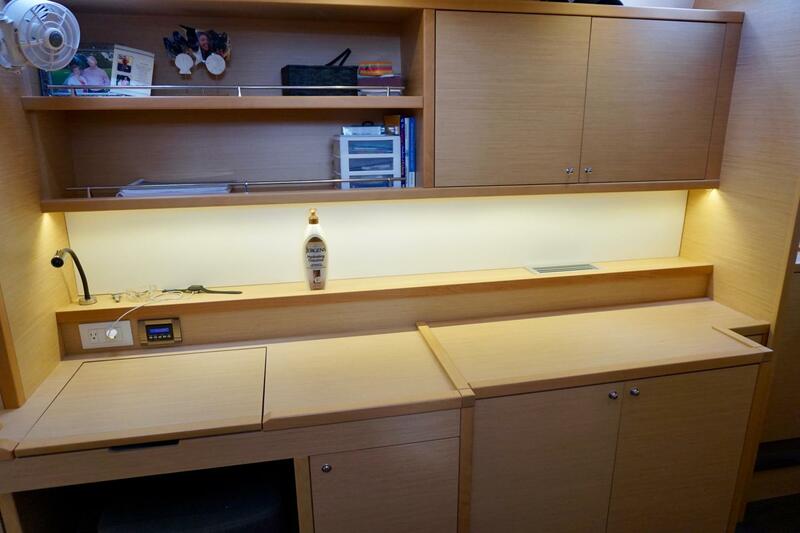 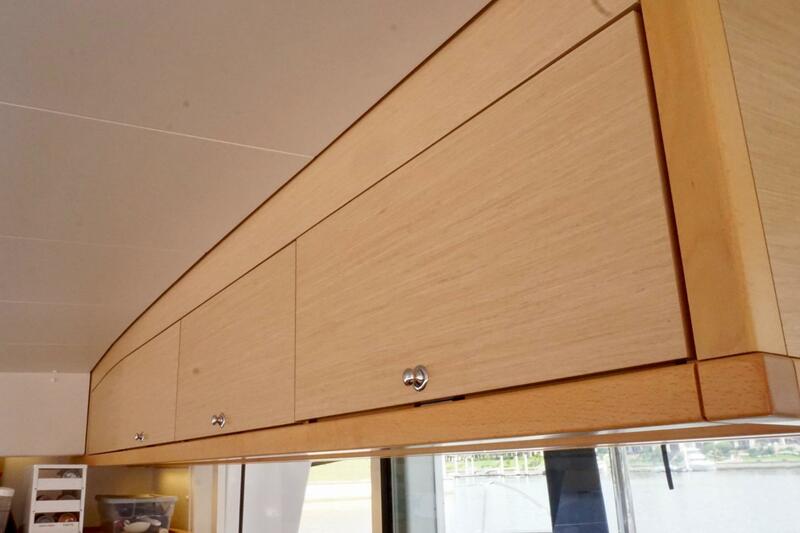 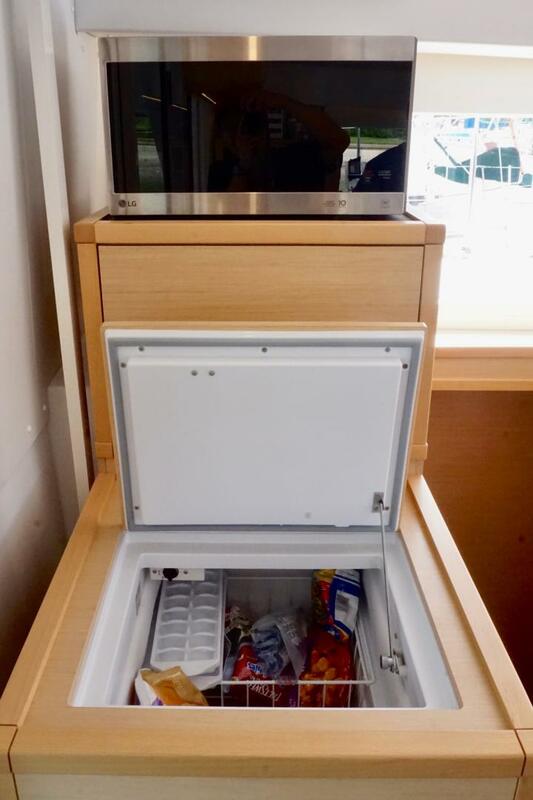 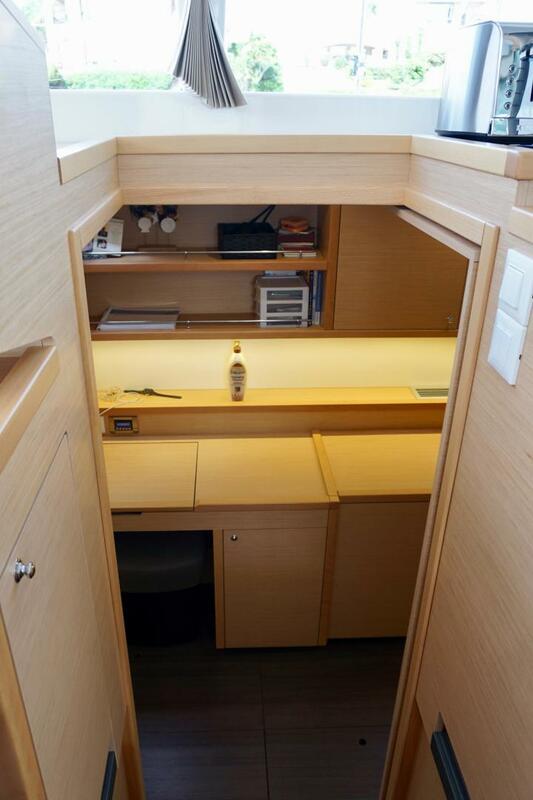 The amount of storage space is exceptional and includes leather bulkhead organizers, storage furniture, desk with seat and multiple shelves, cabinets, lockers and drawers. 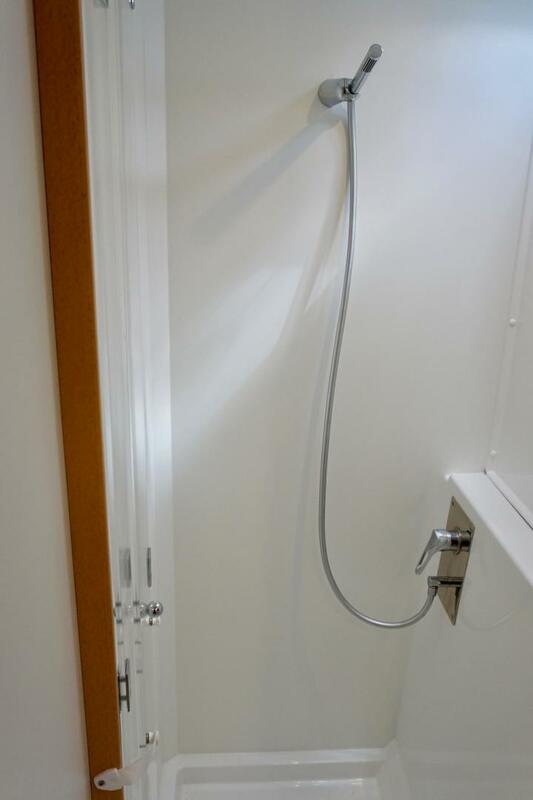 One of the lockers was pre-fitted at the factory for a washing machine. 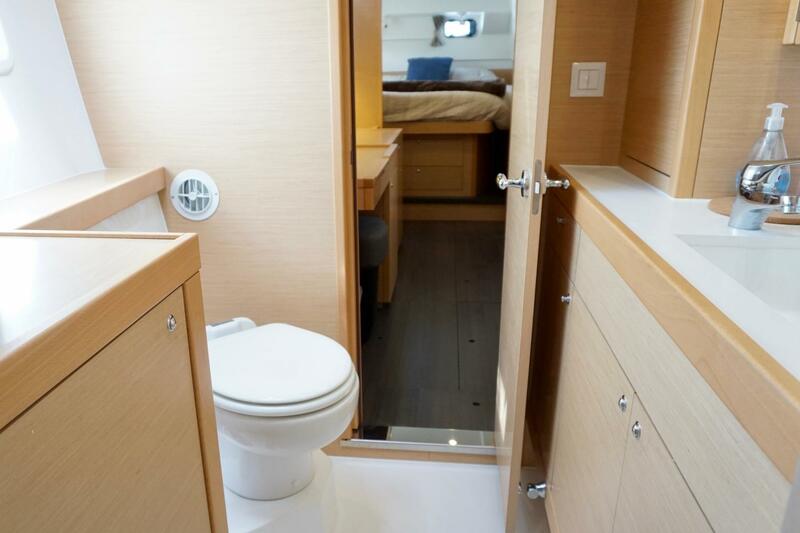 The large private head is forward with separate shower stall, more great storage and an upgraded freshwater electric flush toilet. The spacious main salon and galley area can be easily accessed from the cockpit via a wide, sliding door. As you enter, the galley is to starboard and there is a large settee and dining table forward. 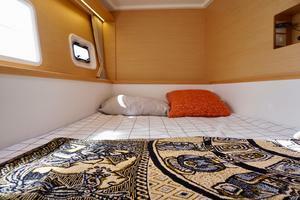 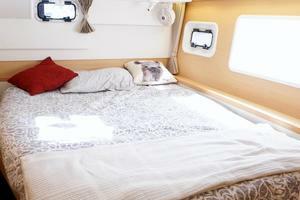 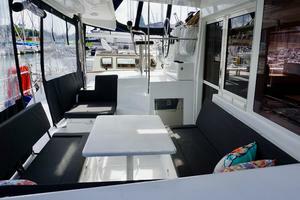 The table can convert into a double berth if needed for additional guests. 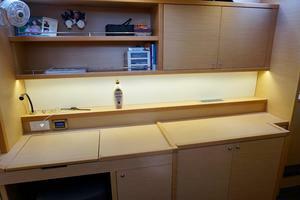 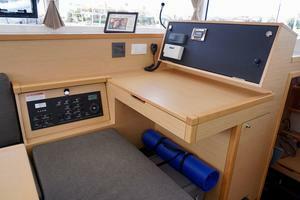 There is also a forward-facing nav desk on the starboard side of the salon. 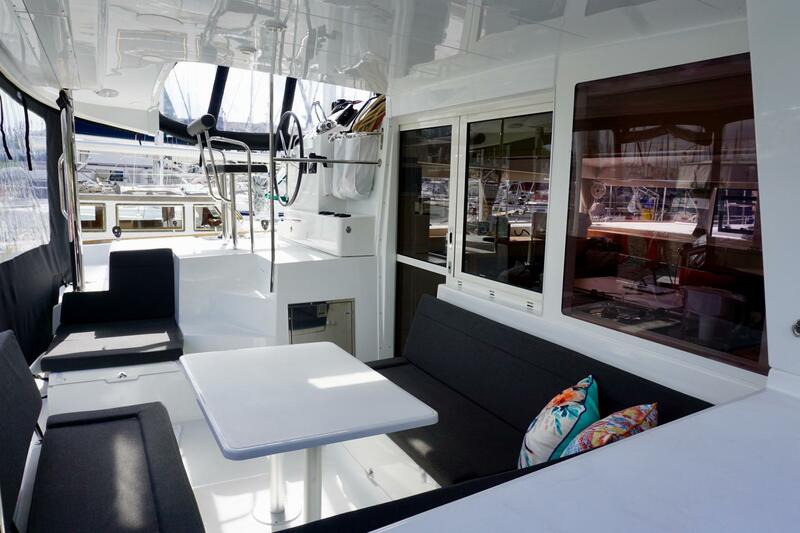 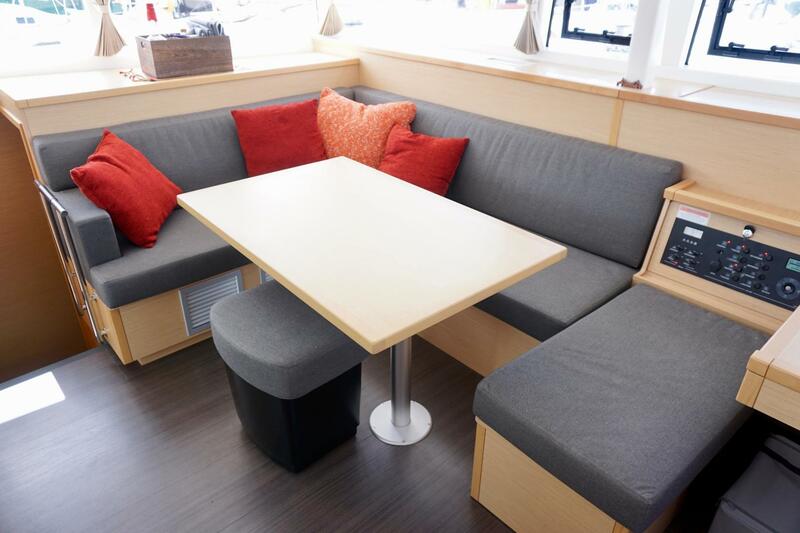 The spacious L-shaped galley offers a functional layout for the chef to prepare intimate meals for two or large meals to entertain a crowd of family and friends. 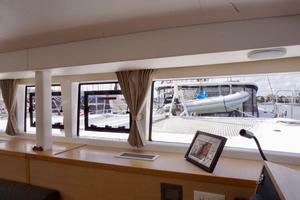 A sliding glass window to the cockpit allows the cook to communicate with and pass refreshments directly to the crew. 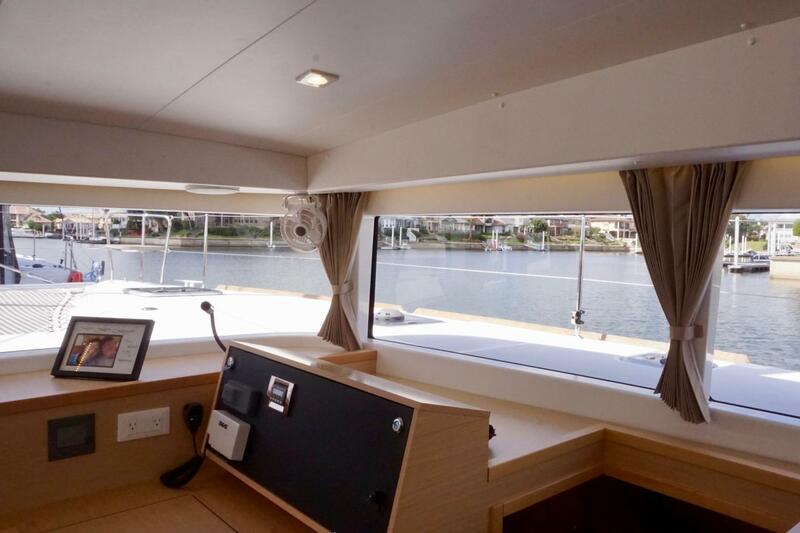 This entire main cabin area feels exceptionally luxurious, bright and airy due to the characteristic Lagoon panoramic views, great lighting and contrasting light oak alpi veneer with rich, dark floors. There are two private guest staterooms with one large head between them in the port hull. 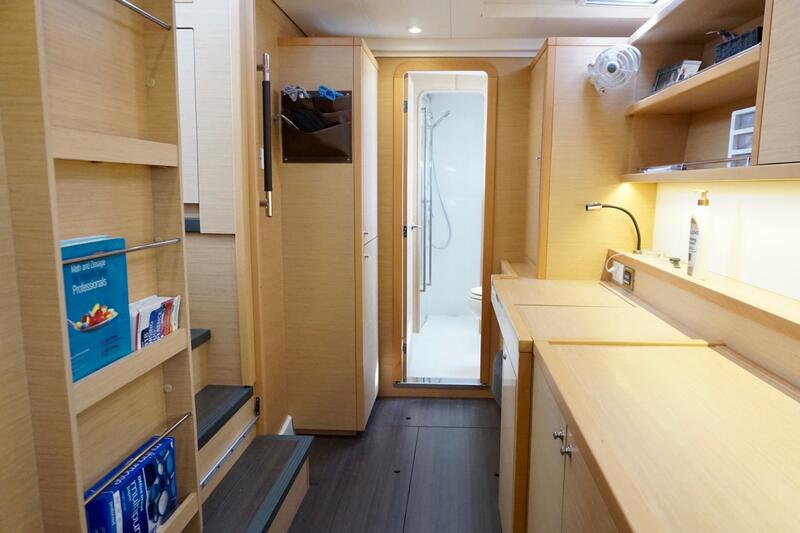 The forward port cabin has a large double berth that can be converted to two singles along with abundant built-in storage. 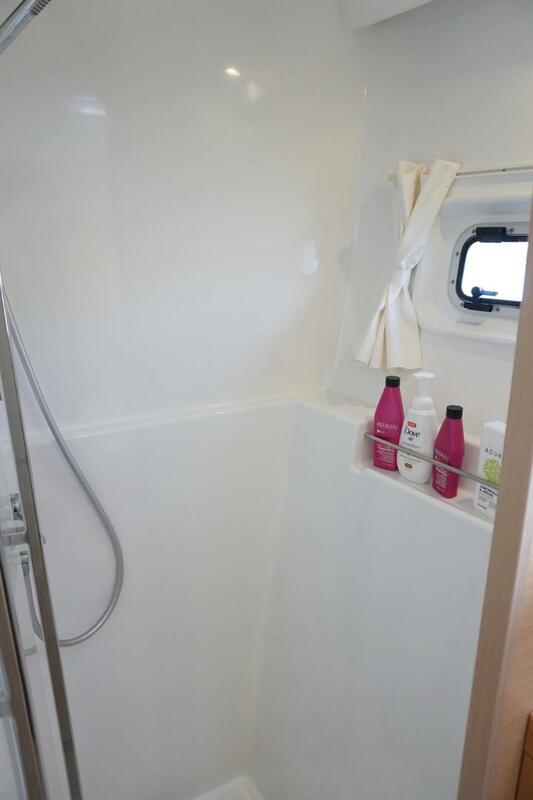 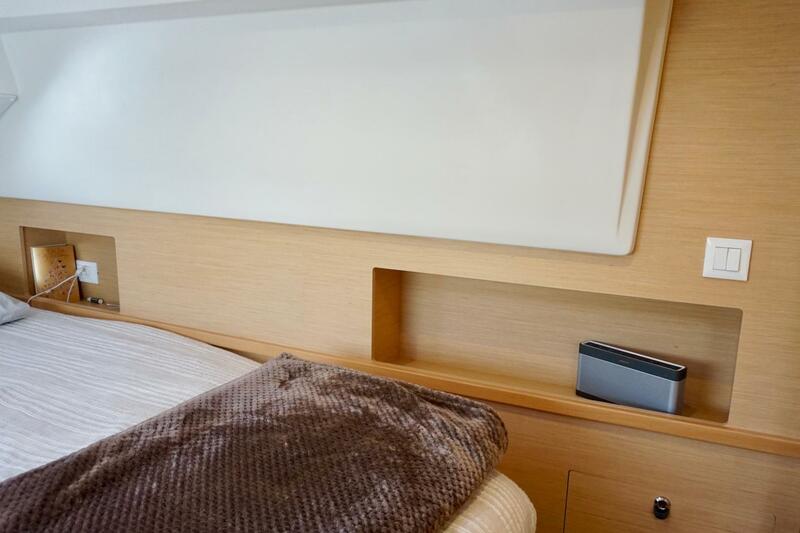 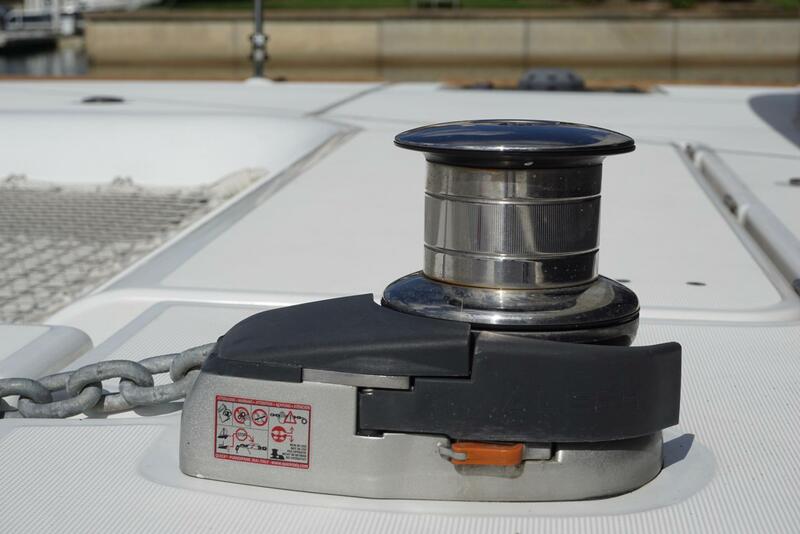 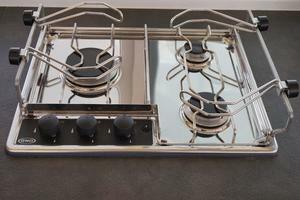 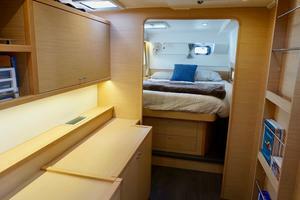 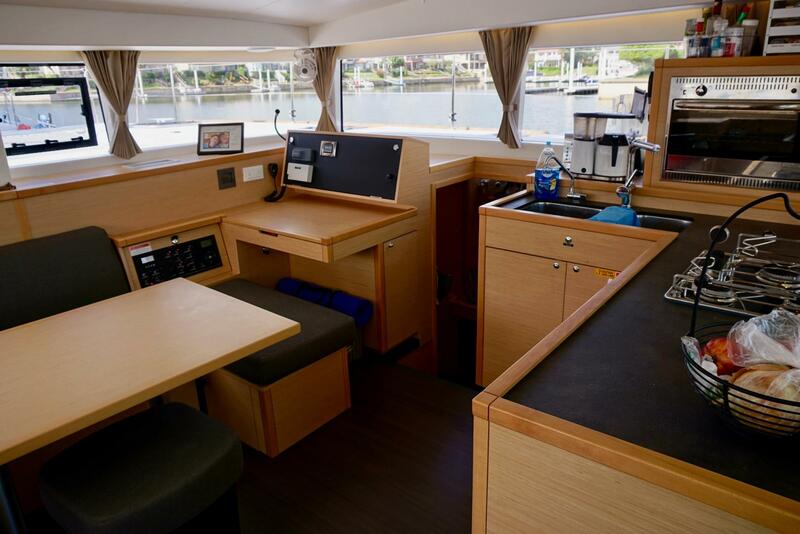 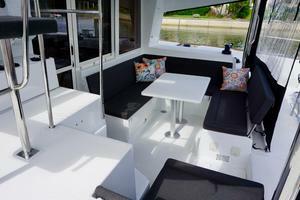 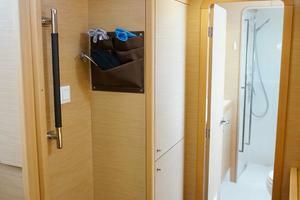 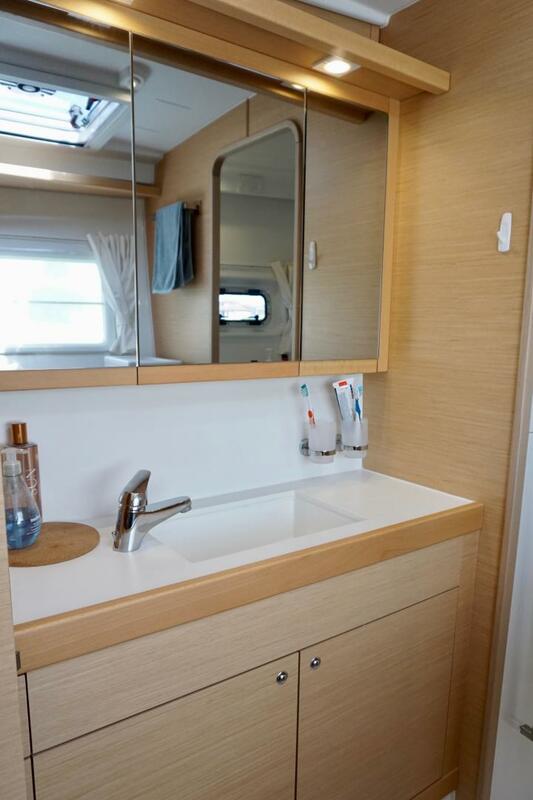 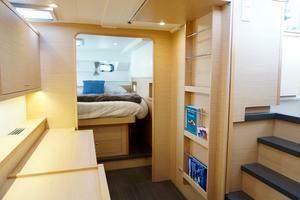 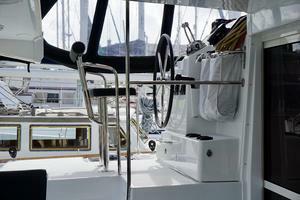 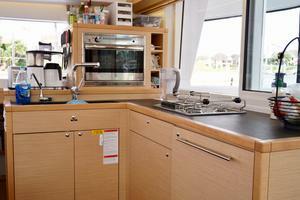 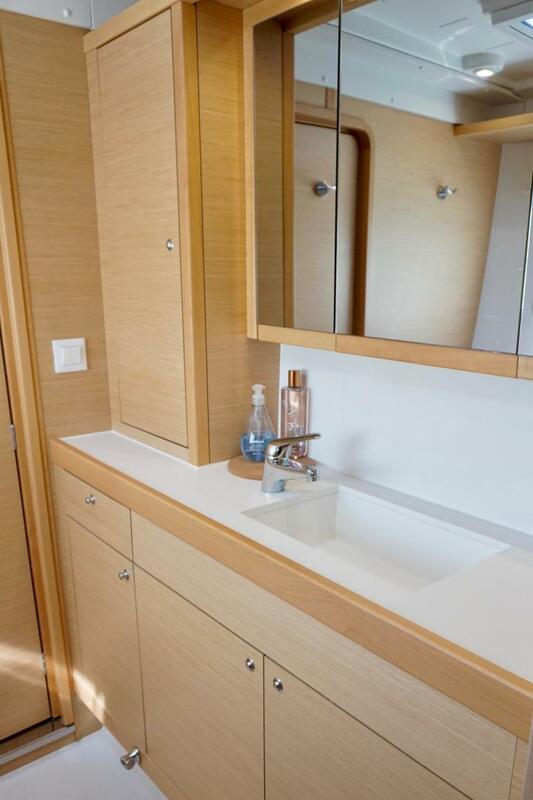 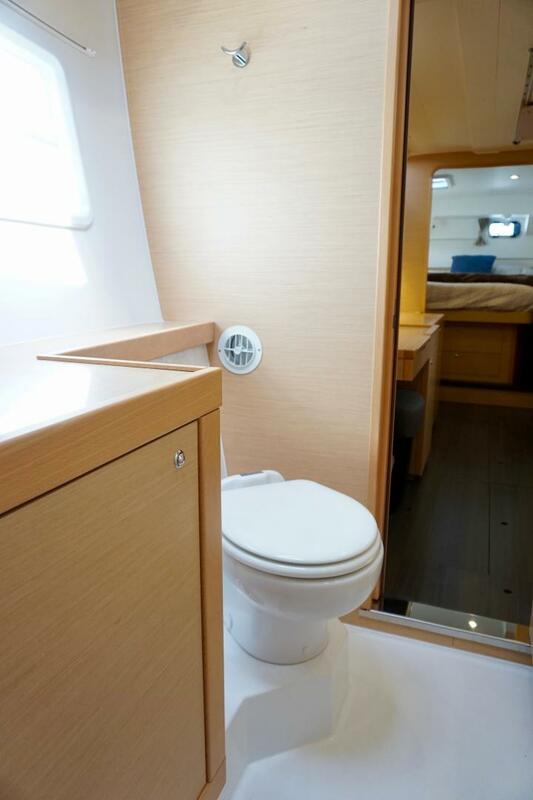 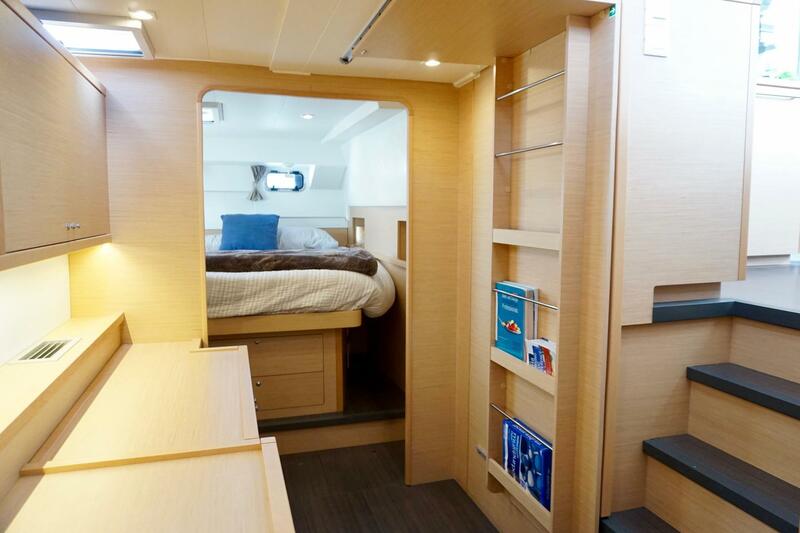 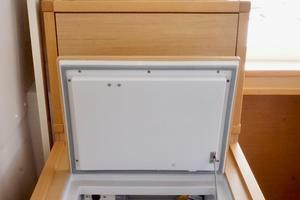 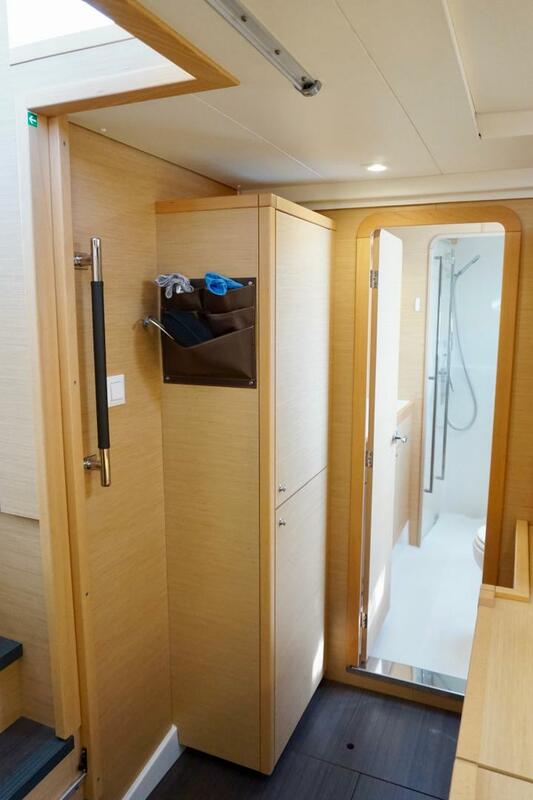 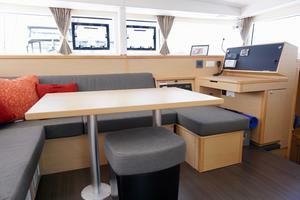 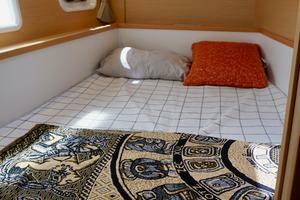 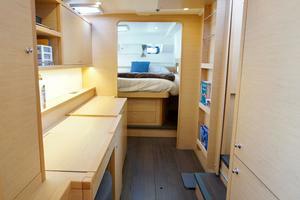 The aft port cabin features a “semi-island” double berth with front and side access as well as great storage. 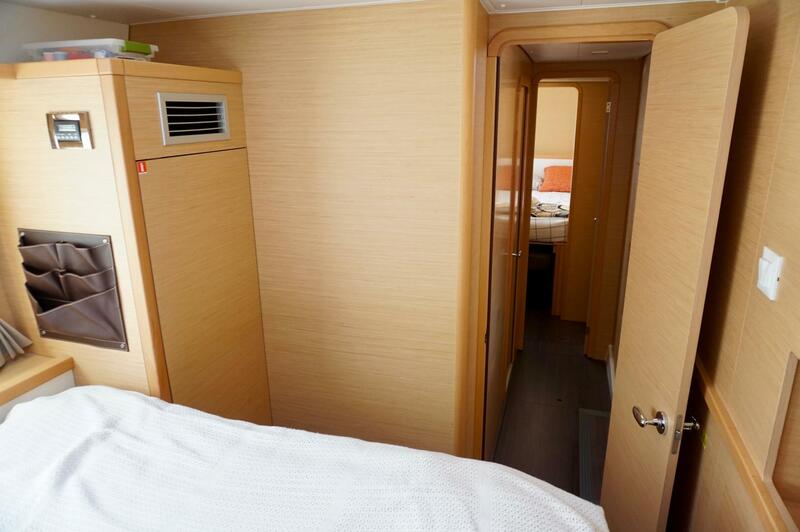 The large head is situated between the private cabins and can be accessed from the hallway that connects the two staterooms. 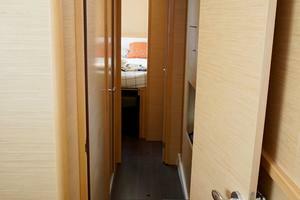 The door to this head is also conveniently located near the opening into the main salon area, allowing it to easily serve as the "day" head. 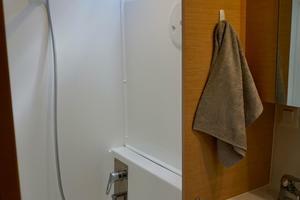 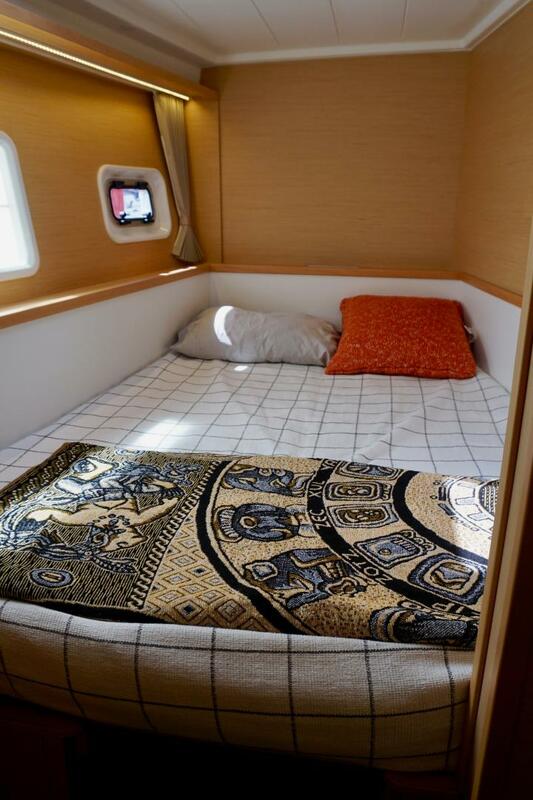 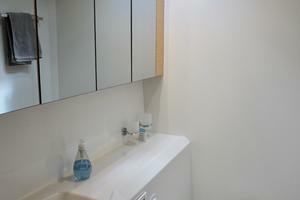 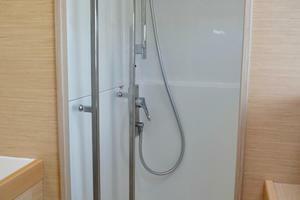 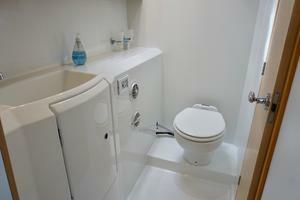 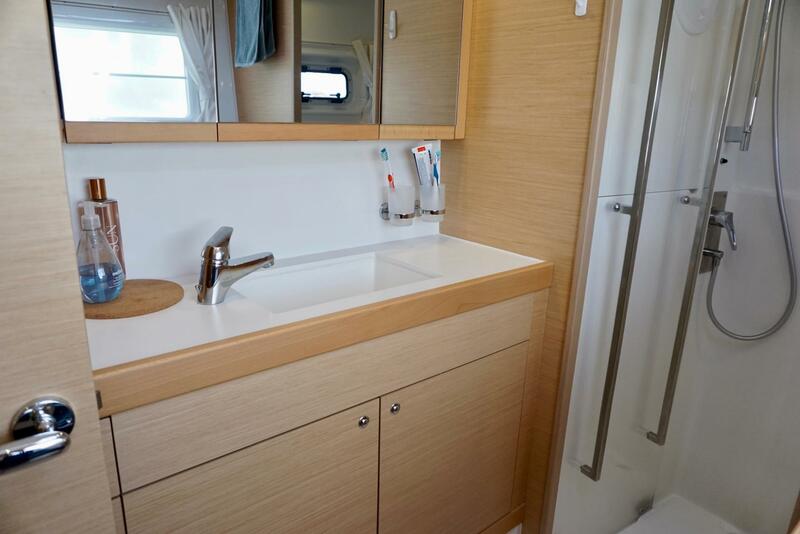 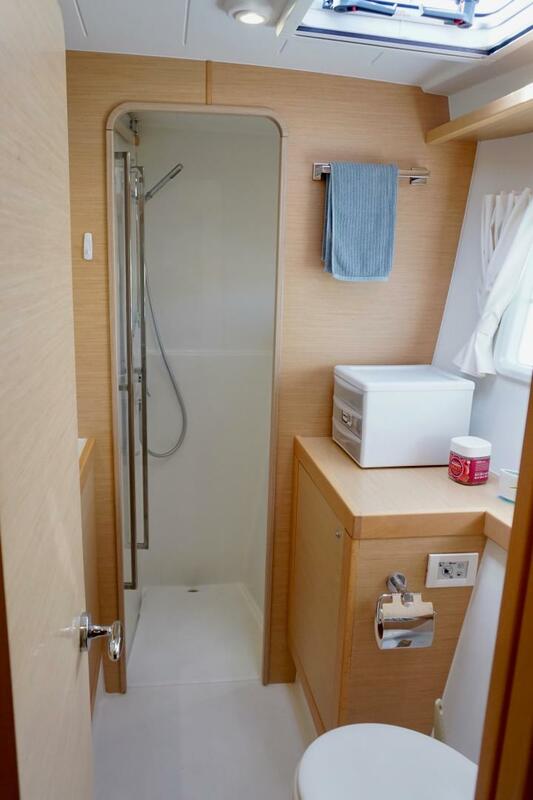 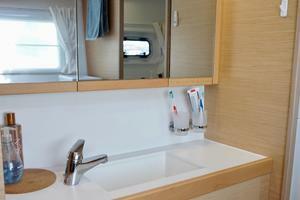 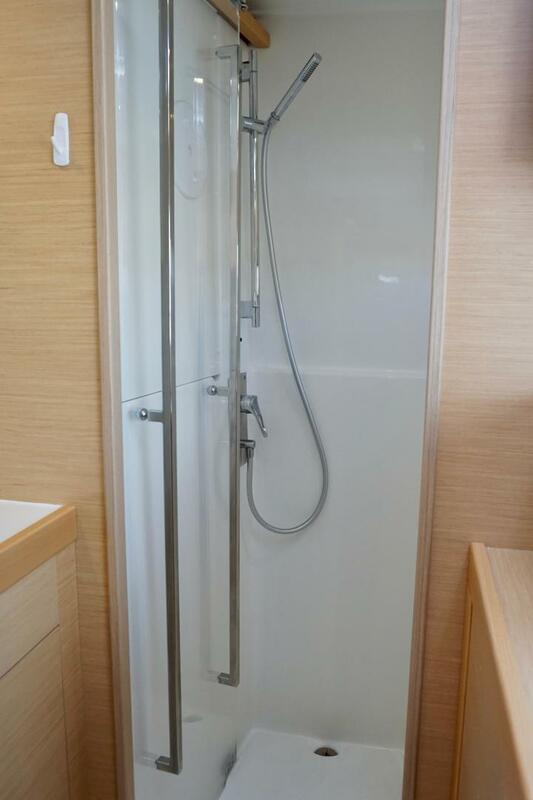 This head features an upgraded freshwater, electric flush toilet and a separate shower stall. 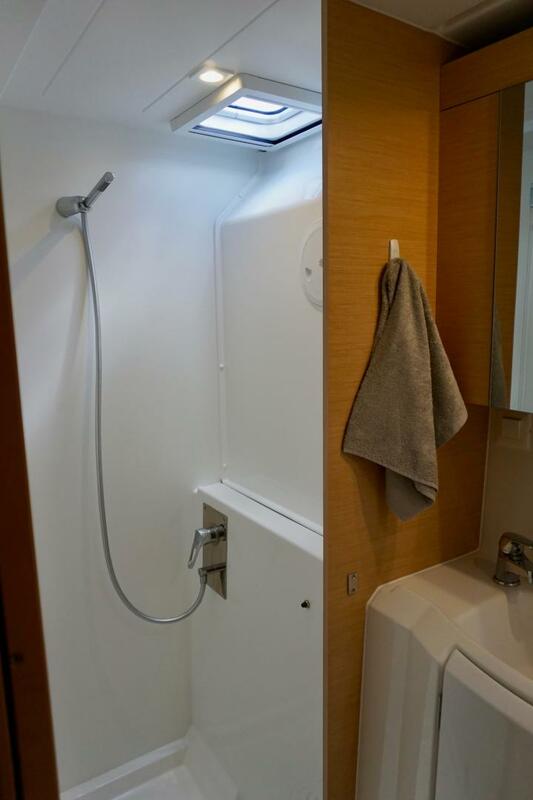 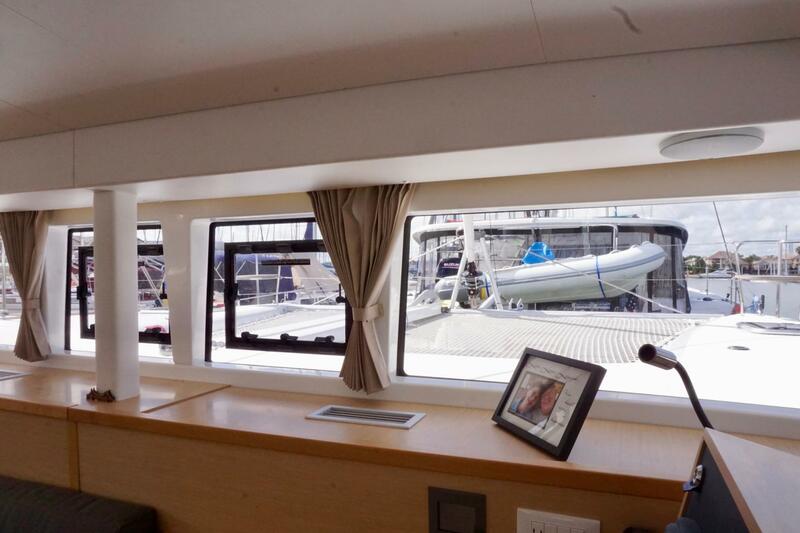 Both cabins have great natural light via an opening hatch, port and fixed window as well as amble direct and indirect artificial lighting. 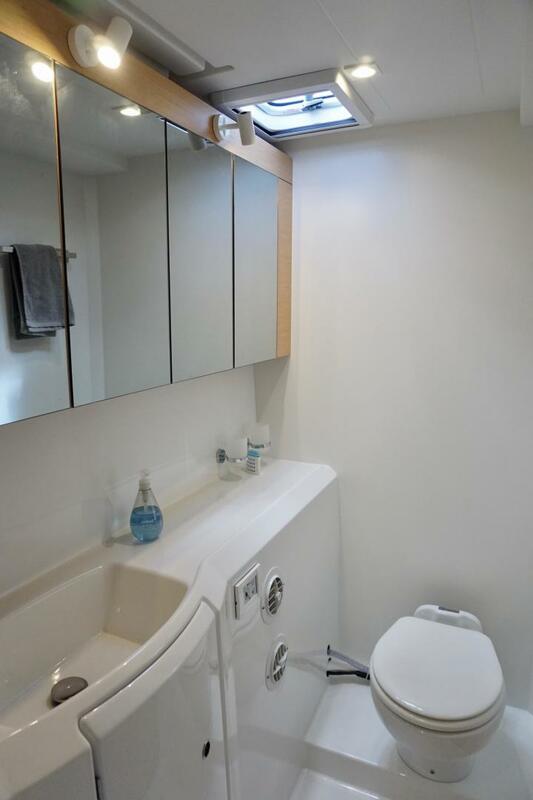 Standing headroom: 6’ 6” approx. 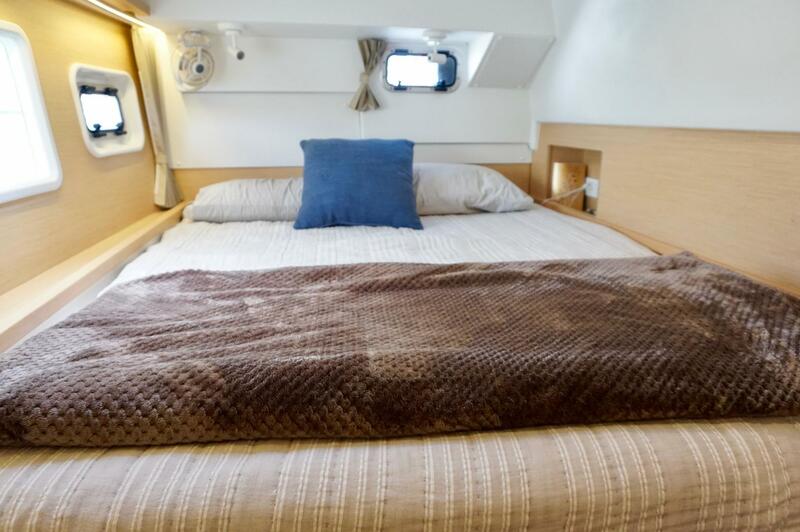 Double bed: 6’ 9” X 5’9’’ x 3’10’’ approx. 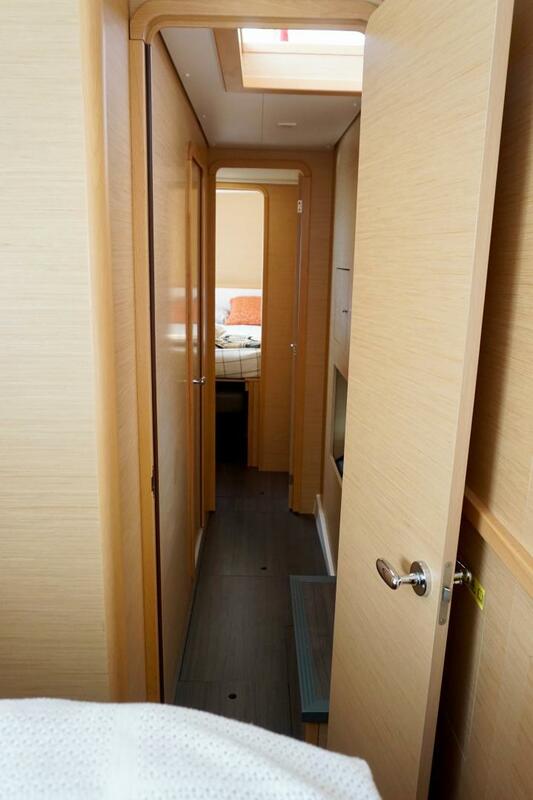 or 2 single beds: 6’ 9” X 2’3’’ x 1’11’’ approx. 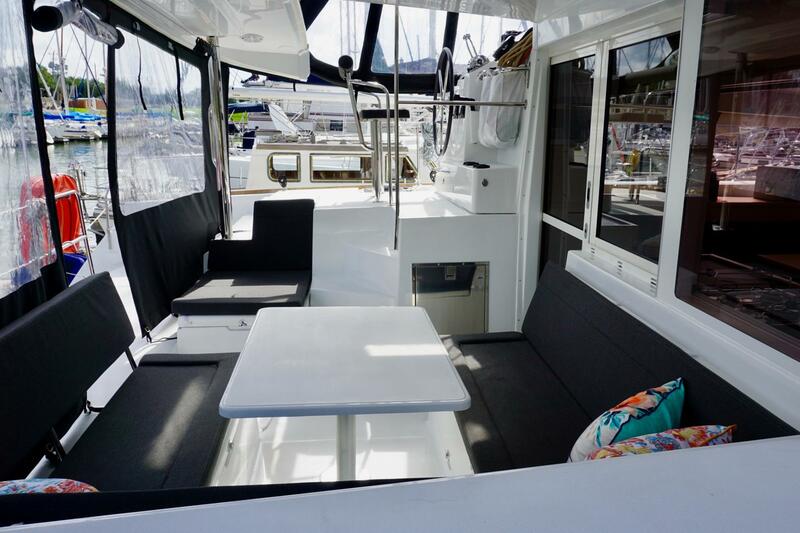 The exterior of the Lagoon 400 S2 is well thought-out for ocean-going cruising: Large lockers, hot & cold shower in the transom, large varnished cockpit table, extensive seating, electric windlass, davits & electric winch, dinghy w/outboard, rigid chain conduit, four electric winches… The deck is uncluttered, so moving around is easy. Wide sidedecks, flush deck hatches and quality hardware contribute to an overall efficient deck plan.